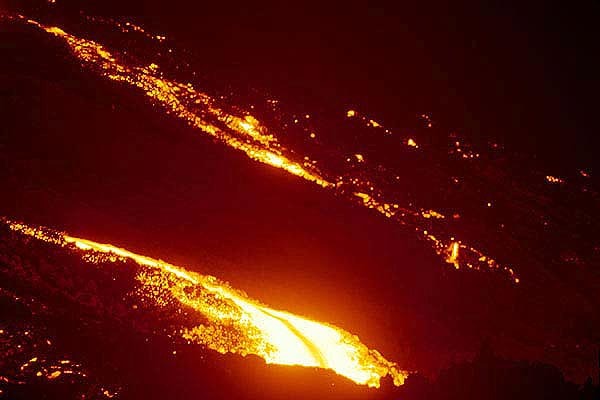 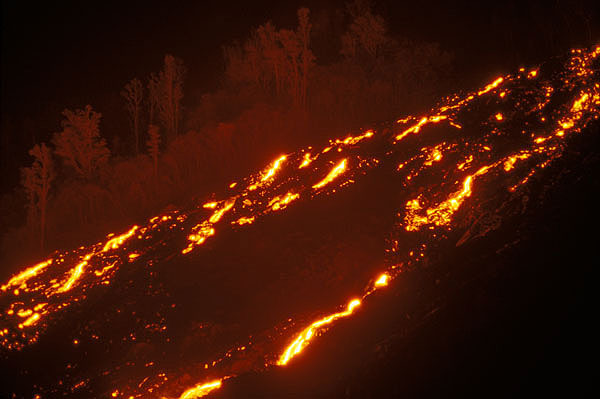 Numerous aa and pahoehoe flows descening the pali at night of 29 December ( Moon and Venus in conjunction, a/r). 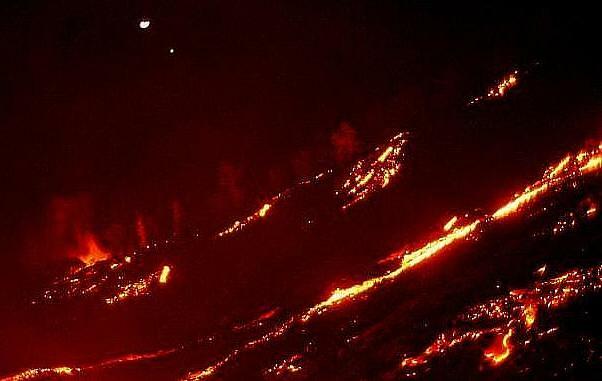 Long aa channels wind down the slope creating ever-changing drawings. 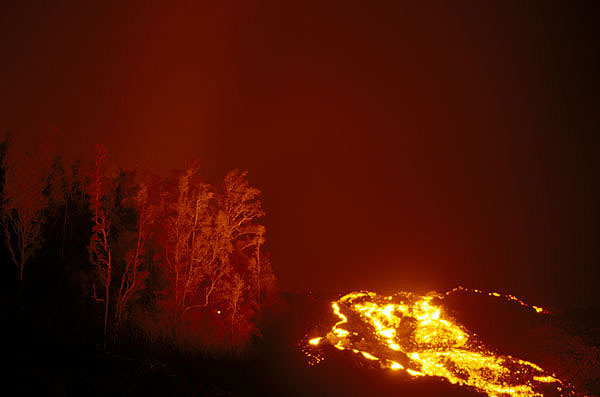 The sky above the coastal flat and the pali. 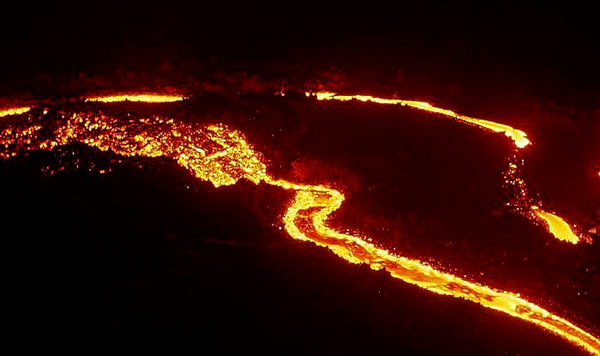 A group of people watching lava. 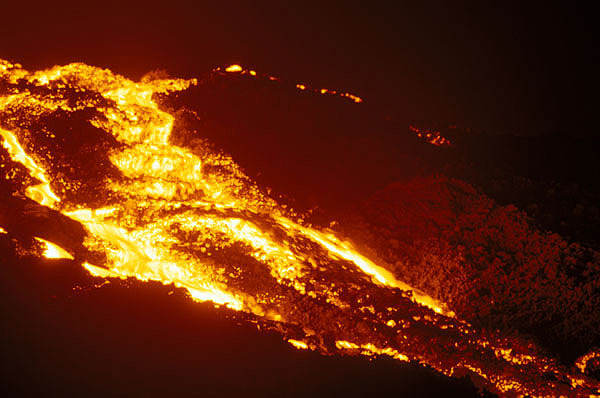 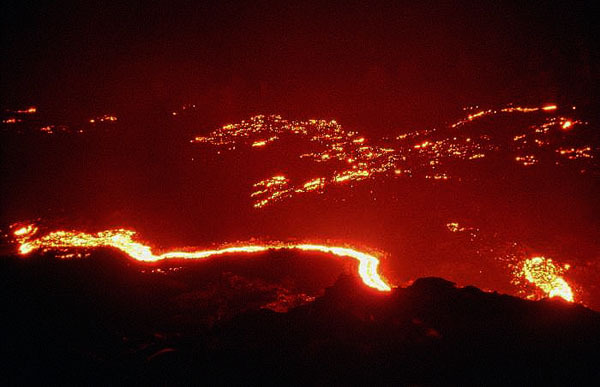 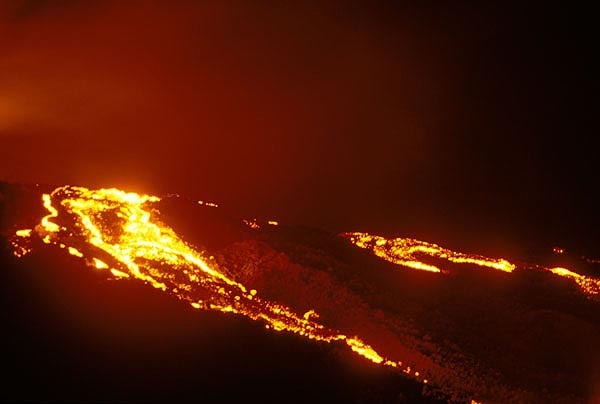 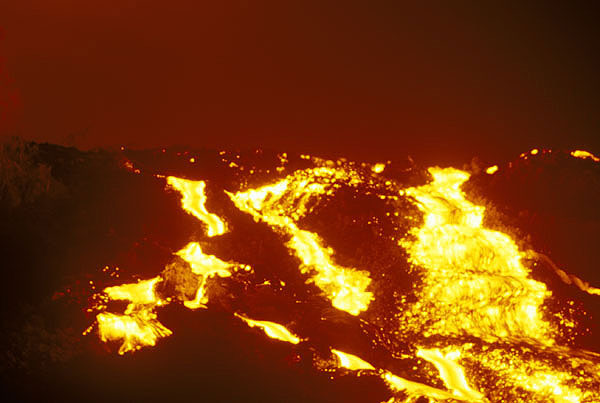 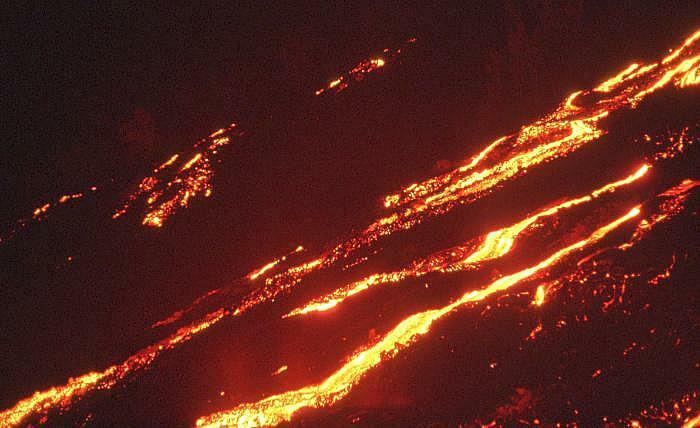 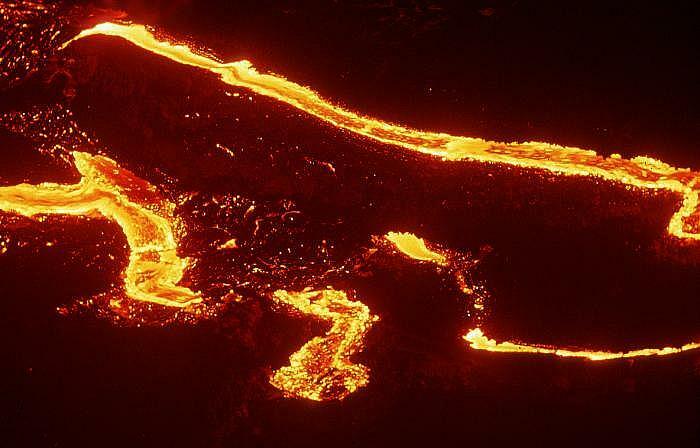 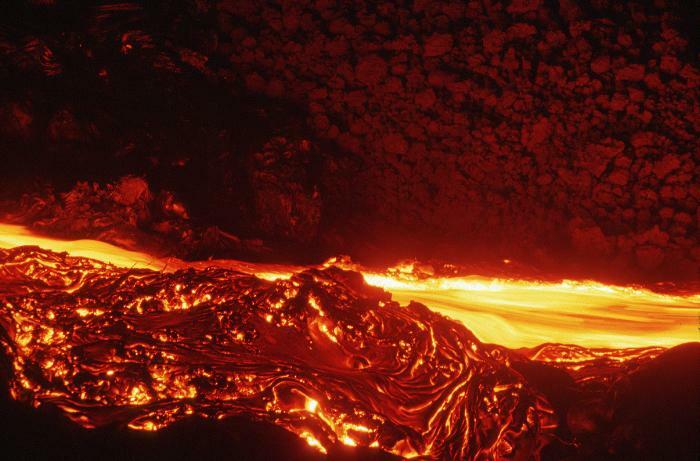 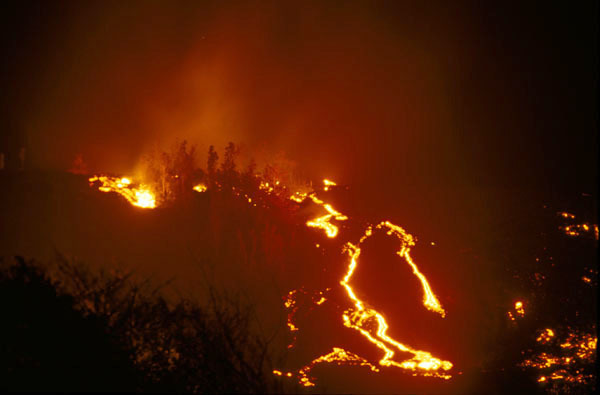 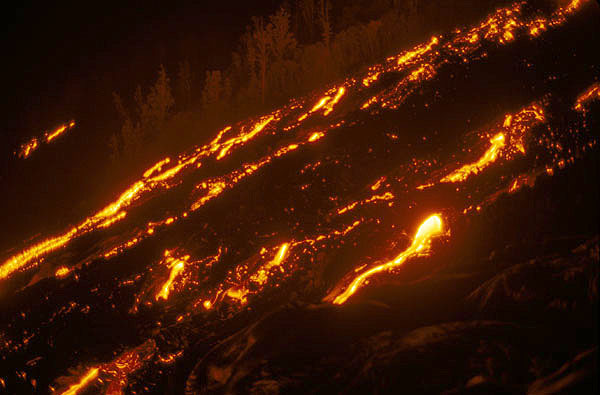 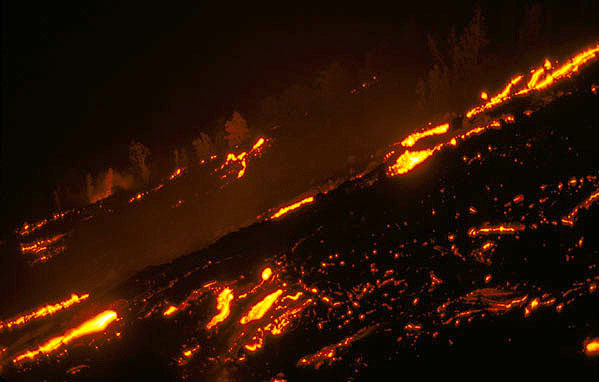 Once again, lava drenches the pali on the evening of 2 Jan. 2001. 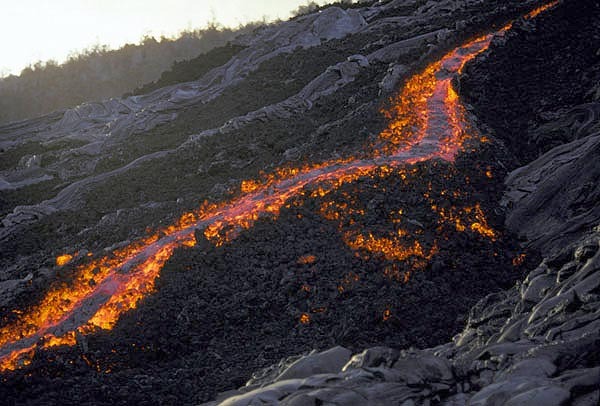 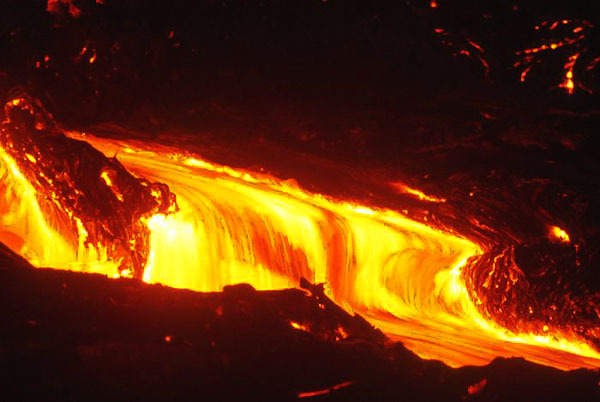 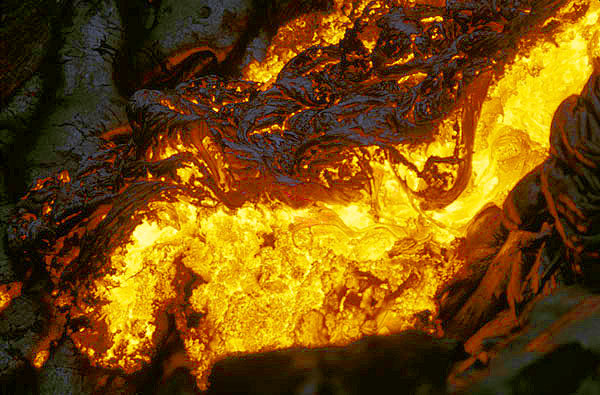 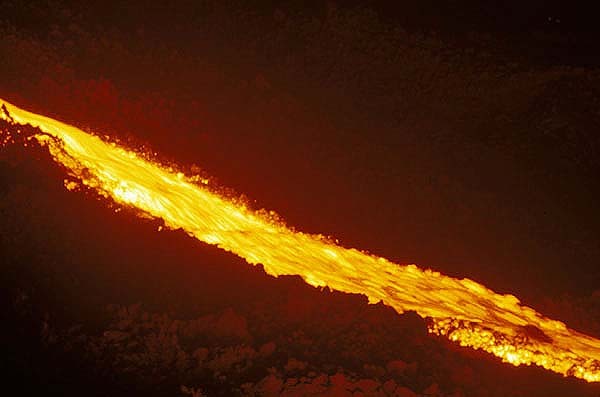 Left pictures: fast-moving pahoehoe channels.